As much as I complain about the difficulty of obtaining tasting samples for a wide variety of Scotches, few experiences can compare with spotting a bottle of something truly special while patronizing an unfamiliar bar or restaurant. While in Massachusetts recently, I happened to notice a bottle of Glenmorangie Signet sequestered among the almost-forgotten-about denizens of the highest shelf. Almost too dark to see, I recognized the logo on the label from blog posts of richer-than-me (or luckier?) whisky tasters. This stuff runs $200 a bottle, so I tentatively asked the bartender for the price of a pour. He had to look it up: $25. Normally I would scoff and walk out the door, but the Signet called to me. My friends were preparing to leave, so I cast a last, longing glance at the nearly-full bottle of ambrosia and reluctantly left. The next day, I had an opportunity to pop back in to the same bar after a lengthy day of work-related meetings. I had been thinking about that Signet all afternoon. Bottled without chill-filtering at 46% ABV, this is a vatting of older Glenmorangie, about 80% of it between the ages of 30 and 35. A proportion (15-20%) of the barley is a roasted ‘chocolate’ barley malt. The ‘chocolate’ term describes a process of roasting that produces a chocolate-like color and nutty flavors – it is often used in heavy, dark beers like porter and stout; the chocolate malt whisky in the vatting is about 10 years old. 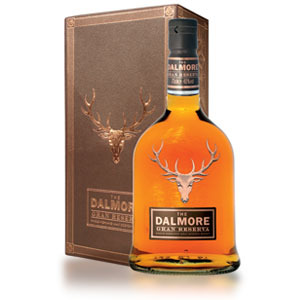 The barrels are American white-oak, previously containing bourbon, although some small percentage of the vatting had aged in new oak barrels, which Glenmorangie itself sources in Missouri’s Ozarks. Nose: Bourbon-y, vanilla and oak. Hint of lemon peel, a little minty background. After opening up, there are delectable notes of light roast coffee beans, marshmallow, and hazelnut butter. Palate: Upfront there is a wave of milk chocolate, butter, and caramel. This evolves into a full, mouth-coating vanilla in time, round, full-bodied, and very well-integrated. The oak notes – the nutty ones – are big, bold, and melt perfectly with those chocolate-y, malted cereal and caramel flavors. Hazelnut butter rounds out the palate. Super smooth and elegant. Amazing. Finish: Long, with mouth-drying oaky tannins. At the end, a ghost of fresh berries. A few drops of water bring more chocolate on the nose. On the palate, the water gives a tendril of raspberry without diminishing the rest. Overall: This is undeniably an excellent dram. There are no flaws, and the lack of any bitterness (despite all the oak) to the finish is impressive, as is the sequence of nutty, caramel, coffee, and chocolate flavors, all detectable independently. The $200 price tag is a bit high, especially considering the quality of Glenmorangie’s less-expensive offerings. If you want a big, luscious special-occasion highlander, and can handle the splurge, you will not be disappointed. If not, keep an eye out for a dram at a high-end bar. It’s an experience. Glenmorangie has been an innovator in the industry for years, pioneering cask expressions and experimental bottlings of their exceptional Highland whisky. Often cited as the biggest-selling whisky in Scotland, Glenmorangie is also attracting a lot of international attention, winning awards left and right. 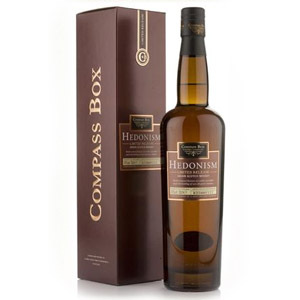 Among their cask-aged expressions are the Nectar D’Or (matured in French Sauternes casks after 10 years minimum in bourbon barrels), Quinta Ruban (matured in port barrels), Lasanta (matured in oloroso sherry casks), and more. Glenmorangie sources its oak casks in the Ozark mountains and loans them for four years to the Jack Daniels distillery before using them for Scotch. Glenmorangie’s water flows from the Tarlogie Springs in the hills above the distillery, over sandstone (yielding hard water) and picks up flavor components from the clover and heather in the hills before entering the distillery, where 24 very long-necked stills called the “giraffes” make Glenmorangie’s classic Highland malt. Glenmorangie, like Ardbeg, is owned by luxury giant LVMH (Louis Vuitton Moët Hennessy). Acquired: (Dram): Capital Grille in Burlington, MA. $25. You recomend it just to sample or as a purchase? I’m very interested in this bottle for a birthday gift for myself however its not rated as must have ? My wife has been given the hint and a distributer that sells it shipped for 175 does that change it to a must buy at that price? Thanks for your time and your well written site. Thanks for the heads up, I have sampled about a dozen different single malts to date. 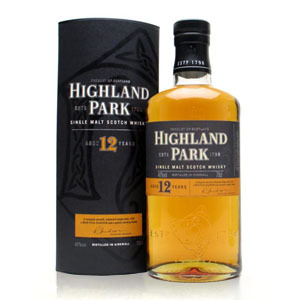 I have been looking for that next level scotch that has something different, most of the scotches I have tried come from the speyside region and all are well regarded. They range 12 to 18 years old and have been double casked so my next scotch needs to be noteworthy being its a birthday gift, so any ideas would be appreciated by bank roll is 200 max thanks again. Thanks for the monkey wrench 🙂 as I consider my options the obvious fact remains where I’m looking for that unique scotch there are several options that allow me to have multiple bottles for the cost of one. This is a real quandary because having three really good scotches that can be shared and enjoyed regularly versus one that collects dust because it’s too damm expensive to drink, well I gues that’s the compromise. Thank you for all your advice and I’ll let you know how it turns out. I’m relatively new to scotch, and steer away from heavily peeted ones. For me, this is definately on the top of the ‘must have’ list. I just happened to get a coupon for my military “Class-6” for 30% off any scotch. I headed right for this… with my discount, I snagged it for $90 (not a typo). I have several “daily drinkers”. However, this is going back up on the top shelf with a few others for sharing with special friends. I highly recommend! If you are not a big peet fan, I definitely recommend the Finealta from Glenmorangie as well. Sweet, with a slight peet to it (mostly in the nose and finish). Glengoyne is another peet-less distiller that has some good things to offer. 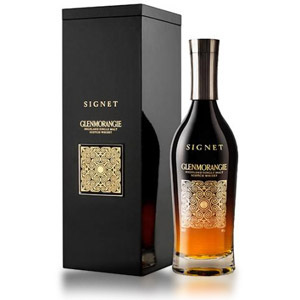 Just bought a bottle of the Signet for $137 (incl. WA tax). It’s a fabulous scotch. The nose is HEAVENLY. It’s smooth, but does have an alcohol “bite”. It’s richly flavored, dark in color, and overall fantastic. On the other hand, you can get a similar presentation (albeit a bit less refined, and certainly not the same) from Glenmorangie’s Quinta Ruban, which is about half the price. The Quinta Ruban seems to be at the “knee” of the price break; where any further improvements in quality come at a much higher price premium. On the other hand, I’m frequently satisfied with one finger of Quinta Ruban, whereas with the Signet, I had to restrain myself from going back for more (OK, OK, I had another splash)! Would you mind sharing where you bought your Signet bottle? I live in WA and I can’t seem to find a bottle under $200. I have had the pleasure to enjoy this Gem. This is an absolute joy of a dram. Seldom have I had the pleasure to enjoy a bottle in the way I enjoyed this one. Yes, it was a birthday present to myself and no it is not the most expensive one I have purchased, but… I sincerely can’t think of one that I have enjoyed more. For me, it’s a must have at least once if you are a lover of single malt. I would love to purchase some How do I get my hands on some?? Well it’s been a while and I have an opinion about the Signet I received for my anniversary. 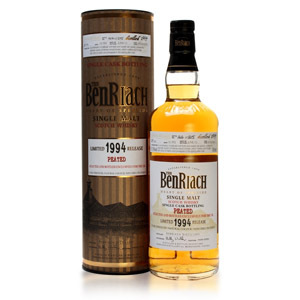 What it it does it does well, it presents much better in a large tumbler than a glencairn. The extra roasted malt is realized after it sits for a short while with or without a very little water. The sweetness is light, pleasant and grainy. There is a strong presence of pepper on the finish. This scotch is not multi dimensional or complex but if they all were what’s the fun in that. Sometimes a simple,straightforward approach is quite acceptable and this one is. winechateau is the least costly I have found, 155$ plus shipping. most others go for $225_ 200. They ship as soon as the order is placed. With great disappointment the corked stopper broke off as my wife opened her Signet birthday gift. I am not happy about it. Cork was faulty and dry. Bought bottle back to my spirits store where the owner will need to give me a lot of consideration. Any one else have difficulty with the cork stopper? Expect more for price. Still have not tasted it. Sorry to hear about the bad cork! Cork issues are a problem both in whisky and wine, and aren’t really indicative of the quality of the bottle – they can’t test every cork, and some bad ones slip through. I’ve heard plenty of stories of $200 bottles of Bordeaux arriving bad because of failed corks – it happens to the best of them. You did the right thing – the retailer should always be able to exchange a bottle with a failed cork. Just opened my Signet after letting it rest in the cabinet for a year. Wow, why did I wait? That scotch is an awesome delight. At this point, I don’t even remember what it cost. And it doesn’t matter, as I am thrilled with this scotch. It will seduce you. After having my first dram of this divine whiskey, I ordered 2 more bottles. Any more questions? After my second round, I ordered 4 more.